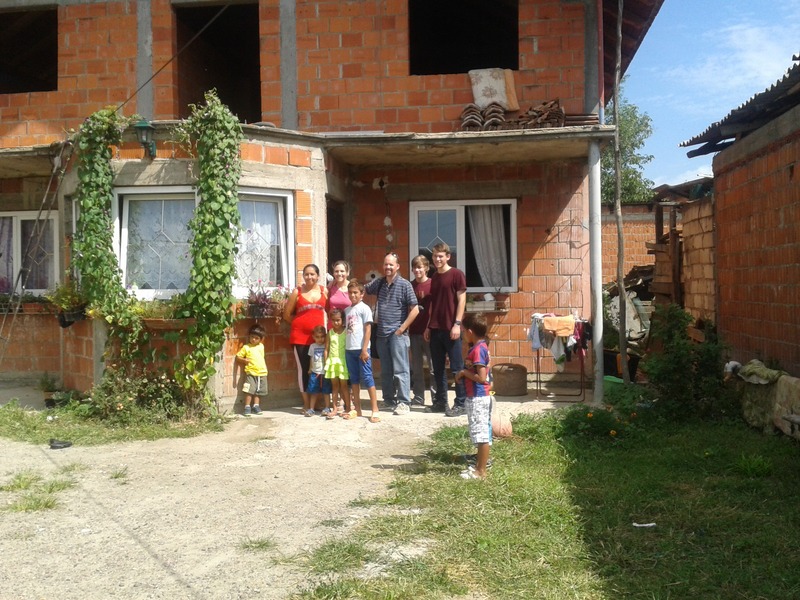 This summer, we had a great visit to the Roma village near Slavonski Brod, Croatia. 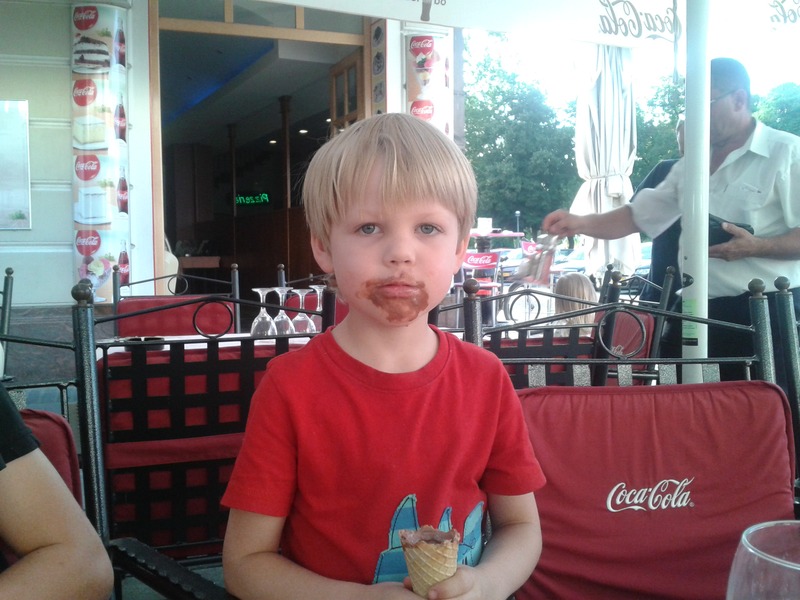 Daniel (6) enjoyed eating (and wearing) his ice cream. This 70 year old Roma woman was quite a treat to interview. 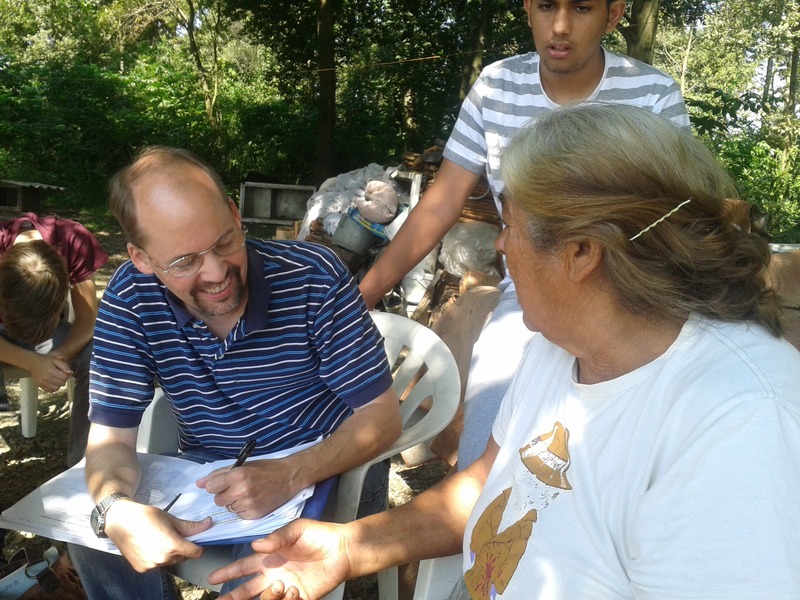 It was also very nice to visit this family who last year didn’t have a roof on the house they were living in. Thanks to our kind teammates there, they have a roof, so the leaks and horrible mold have stopped.